PHUKET: On opening day of the 2010 FIFA World Cup, host South Africa drew 1-1 with Mexico in a thrilling game, while France struggled to 0-0 draw against 10-man Uruguay in an uninspiring match. 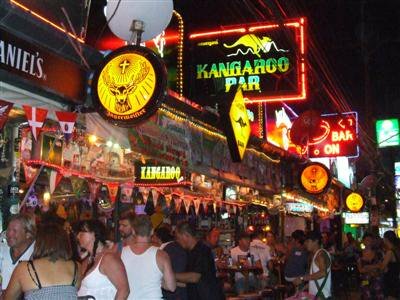 Bars in Patong have been allowed to stay open later than the normal 2am closing time, and many people lined the bars along Soi Bangla late into the night to take in all the action. Day 2 matches: S. Korea versus Greece at 6:30pm, Argentina meets Nigeria at 9pm and England takes on the US at 1:30am. For in depth coverage straight from the FIFA website click here. For a wall chart to track when all the games will be played in local time, pick up a copy of the Phuket Gazette on newsstands now.